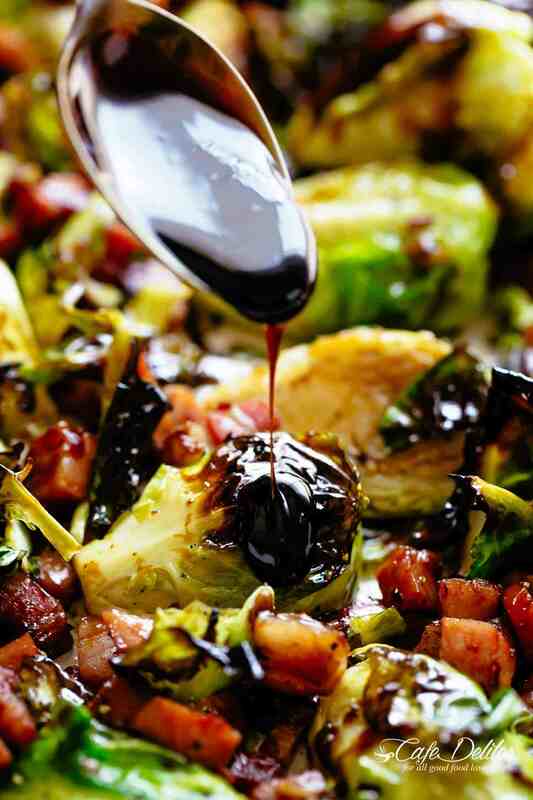 Successfully saved Balsamic Roasted Brussels Sprouts with Bacon to your Calendar. You can also save the ingredients to your Grocery List. Garlic Roasted Brussels Sprouts with crispy bacon or pancetta creates a delicious combo you can't beat. Drizzle with a balsamic reduction for even more flavour!